Student-athletes and coaches are educated about concussions annually. This education includes signs and symptoms of concussion, what to do in the event of a suspected concussion, and the potential consequences of not reporting suspected concussions to a member of the sports medicine staff. After receiving this education, student-athletes must sign a statement in which they acknowledge that they have received, read, and understand the educational material regarding the signs and symptoms of concussions and that they have a responsibility to report concussion-related injuries and illnesses to the sports medicine staff as required by the NCAA. Lastly, head coaches must acknowledge they understand our concussion management plan, their role within the plan and that they received education about concussions. Headache, nausea, vomiting, dizziness, visual disturbances, balance problems, sensitivity to light or noise, feeling slowed down, feeling "fuzzy", feeling "in a fog", "don't feel right", "pressure in head", difficulty concentrating or remembering, fatigue or low energy, confusion, drowsiness, trouble falling asleep, more emotional, aggression/irritability, sadness, nervous or anxious, lightheadedness, post traumatic amnesia (PTA), tinnitus (ringing in ears), seizures, and loss of consciousness. ImPACT computerized concussion assessment software is used to record a baseline neurocognitive assessment for every intercollegiate student-athlete at Connecticut College. Additionally, every student-athlete must also complete a baseline balance examination. When a concussion is suspected a follow-up tests are administered and the results are compared to baseline scores. This comparison aids in the diagnosis and management of concussion. Follow-up tests may be administered over days or weeks to continue to track the athlete’s recovery from the injury. Connecticut College is dedicated to providing comprehensive care for students suffering from a concussion. We strive to deliver integrative care by employing a holistic interdepartmental approach in caring for the whole person. The sports medicine department oversees medical care and serves as a liaison between other health care providers and the students’ dean. The sports medicine staff manages concussions according to the department’s concussion management plan, under the direction of the team physician and neurological consultant. The Deans of the College advocate for students that require academic modifications due to their injury. The student’s dean is advised of medically necessary academic modifications by the sports medicine staff, and then communicates these needs to the student’s professors. The deans also refer students in need of academic assistance to the Academic Resource Center. The Academic Resource Center provides academic support by deploying strategies to assist students in completing their academic work within the parameters of the academic accommodations and return to learn paradigm. The Academic Resource Center will also communicate with Student Accessibility Services to arrange long-term academic accommodations (> 6 months) when necessary. All suspected head injuries must be reported to a member of the Sports Medicine Staff. 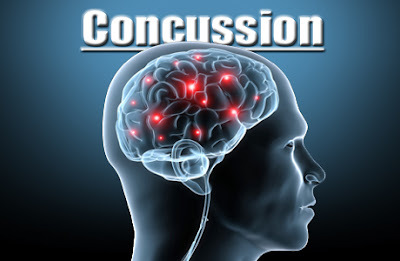 If a student-athlete experiences, or a coach or teammate witnesses any signs or symptoms of concussion after an athlete receives a blow to the head or body, the athlete shall be removed from practice or competition, and the Sports Medicine Staff notified immediately so that the athlete can be evaluated as soon as possible. If a concussion is diagnosed, a graduated return to cognitive and physical activities protocol is followed in returning the student safely to normal activity levels. Students suffering from concussion signs or symptoms lasting longer than 14 days are referred to our neurological consultant. Team physicians have the final authority to determine when a student-athlete is removed or withheld from participation. In addition, clearance for that individual to return to activity is solely the responsibility of the team physicians or their designated representatives. Second-Impact Syndrome is a rare but usually fatal condition that occurs when an athlete sustains a second concussion while still suffering symptoms of the first concussion. The second injury, which may be caused by a much lesser force, causes a disruption of the regulation of blood flow to the brain. This disruption results in a massive intracranial bleed, and most often death. The only cure for this condition is prevention! This condition develops rapidly after sustaining the second injury and the athlete's condition deteriorates fast, usually resulting in death within one hour. Post concussion Syndrome is a condition in which the symptoms of a concussion persist for weeks or even months following the initial injury. It is most often characterized by the following signs and symptoms: depression, dizziness, drowsiness, fatigue, headache, irritability, memory deficits, nausea, poor balance, and difficulty concentrating. Unfortunately, there is no known cure for this condition. Often times, the student-athlete must simply wait until the symptoms resolve. Pharmacological interventions may be implemented by a physician to manage symptoms, and there is some evidence that low-level cardiovascular exercise can aid in recovery. Additionally, some medical practices specializing in concussion care have begun classifying post-concussion patients by symptom profiles and attempt to hasten recovery by creating treatment plans that target patients' specific symptom subsets. Chronic Traumatic Encephalopathy is a progressive neurodegenerative disease whose pathologic hallmark is abnormal tau deposition, with clinical manifestations of mood disorder, neuromuscular incoordination, dementia and death that may occur as a consequence of repetitive mild traumatic brain injury. However, it is not possible to determine the causality or risk factors of CTE with any certainty. As such, the speculation that repeated concussion or subconcussive impacts cause CTE remains unproven. Moving story that warns of the dangers of improperly managed concussions. Every parent, athlete, and coach should watch this!